The Power Vertex Whole Body Training System is the most versatile piece of exercise equipment on the market. It can be used for rehabilitation, fitness sport-specific training, health and wellness and strength training.The system is adaptable enough to accommodate nearly any exercise movement. Instead of the clunky weight plates familiar to anyone who uses a fitness center, the Vertex system uses exercise cords that can be easily adjusted from 0 to 75 pounds to provide appropriate resistance levels. The machine can be configured with a variety of attachments and pulleys that allow for the targeting of particular muscles or muscle groups. The base is wheelchair-accessible, but can also accommodate very robust motions such as vertical jumps, power squats, lifting, pulling, pushing and swinging a bat or golf club. Add-ons and accessories such as benches, stability balls, plyo boxes, belts and harnesses make it possible to replicate and vary nearly any desired therapeutic or fitness training movement. Unlike traditional systems where you have to wait your turn for an exercise machine, the Power Vertex system is designed to accommodate up to eight people at a time, with each person performing the exercise of his or her choice, using different add-ons and resistance levels. The seven-foot vertical octagonal column allows you to plug in your cord or pair of cords anywhere you like, depending on whether you want to exercise your upper body, your legs or your back. The Power Vertex system is one of the most effective tools for regaining mobility and strength. Our therapists will instruct you how to get the most out of your exercise routine in order to regain full range of motion and optimal physical power. The Dynatron Thermostim Solaris Plus (“TSP”), which enables targeted application of heat, cold, electricity and ultrasound waves to relieve pain and blockages in the neck and spine,opens up a new frontier in physical therapy. The TSP replaces icepacks, heated washcloths, shock machines and old ultrasound devices, all of which were of limited effectiveness because of the inability to target a specific pain center or area. The TSP takes a lot of the discomfort out of the process of back pain relief, by eliminating the need for excess application of heat or electricity over a wide area of the back while allowing for more aggressive treatment of a tightly-defined target area. 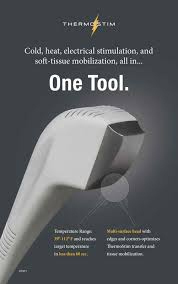 The Solaris Plus Series offers the most options in any one device by including ultrasound, 7 Stim waveforms, and the option of adding Tri-Wave Light Therapy and ThermoStim: cold, heat, electrical stimulation, and soft-tissue mobilization, all in one Tool. The multi-surface head with edges and corners optimizes ThermoStim transfer and tissue mobilization. The temperature range of the device is 39⁰-112⁰ F; it reaches a therapeutic target temperature in less than 60 sec. Flexibility Solaris Plus delivers 7 Stim waveforms including IFC, Premod, Biphasic, Russian, High Volt, Microcurrent, Direct Current, and Fixed Frequency IFC/Premod. In addition, Solaris Plus offers 3-Frequency Ultrasound and the new Tri-Wave Light Therapy. Solaris Plus has the power to deliver up to 5 channels of Stim, Ultrasound, and Tri-Wave Light Therapy through both Probe and Pads—all at the same time. Deliver any combination of 3-wavelengths of light (red, infrared, and blue) using the Dynatron Tri-Wave™ Light Probe or 2 robust 5” x 7” Tri-Wave Light Pads. Dual Light Pads allow for greater coverage of a joint, treatment of 2 separate areas simultaneously, and the ability to treat large areas of the body when placed side-by-side. 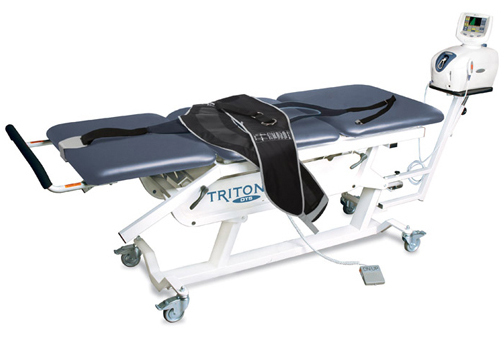 The revolutionary Dynatron ThermoStim™ Probe* combines cold or heat with electrical stimulation and soft-tissue mobilization to treat a wide variety of conditions, save time, and enhance patient outcomes. Scarsdale Physical Therapy is proud to be an early adapter ofthe TSP and other innovative technological solutions, which hugely expand the range of effective treatments we are able to offer our patients.